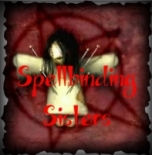 Solitaire Bon Lavi is currently living in Sharpes, Florida, working as a Co-owner in "Spellbinding Sisters" and is interested in Other. This profile is owned by Solitaire Bon Lavi. Send a message to this person to delete this profile.